EXPOSOLIDOS -Exhibition for the Technology and Processing of Solids- is the leading trade fair in southern Europe specializing in the handling and processing of solids, bulk materials, dry powder, semi solids and solids-liquid separation.The presence of the leading brands inEXPOSOLIDOS become the ideal place to analyze and compare solutions to the technological needs of visitors. EXPOSOLIDOS has the support of the main European companies and sectoral agents. 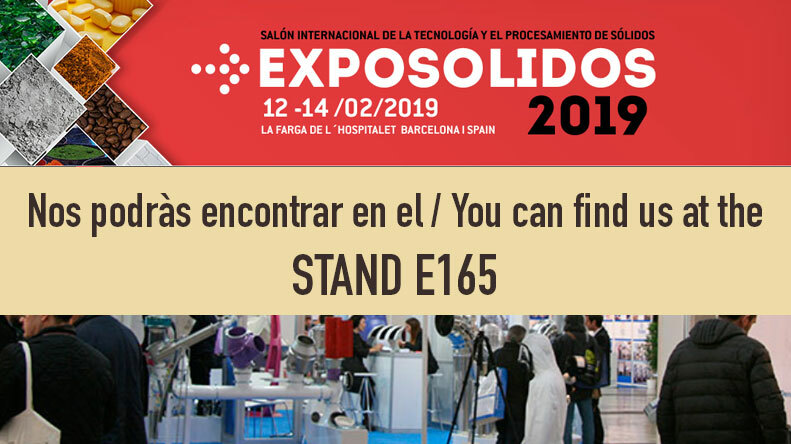 EXPOSOLIDOS is an event designed for business, networking and to reach specific solutions to the needs of industries related with solids, bulk materials, dry powder, semisolids and separation solid-liquid requirements.